The Halcrow Project is a new learning partnership between Pamoja, CARE UK International and two CARE country offices in Ghana and Bangladesh. The purpose of the partnership is to support CARE to better capture the effects of its inclusive governance work through improved monitoring and evaluation. An important methodology we will employ in this project is called Contribution Tracing. This is a relatively new approach to impact evaluation which combines Process Tracing and Bayesian Confidence Updating. If you'd like to read more about the approach, check out this paper written by Barbara Befani and Gavin Stedman-Bryce. We began training CARE staff and partners in early 2017 on Contribution Tracing in Ghana and Bangladesh. 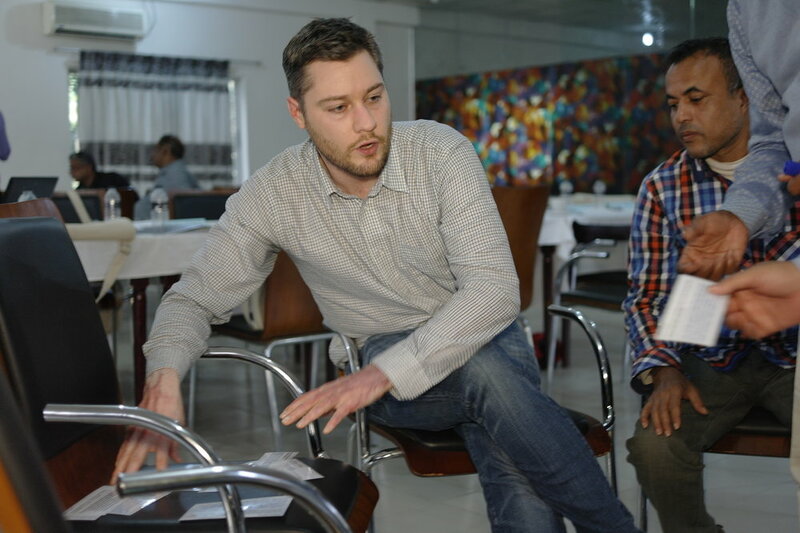 The video below captures participants' reactions and learning from the Ghana workshop. What is Contribution Tracing? Learn more about this new approach to impact evaluation. Our journey to apply Contribution Tracing to inclusive governance monitoring and evaluation has begun. But what do participants in the learning partnership think about this new approach to impact evaluation? Check out our gallery, including photos and videos from the Halcrow Project.